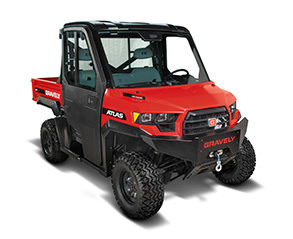 Gravely Atlas JSV - Marina Inc. The Atlas Job Site Vehicle (JSV) isn’t born for jaunting through the woods. It is designed, built and bred to get the job done. Hauling, towing, working. The capacity and capabilities, power and performance are second to none. 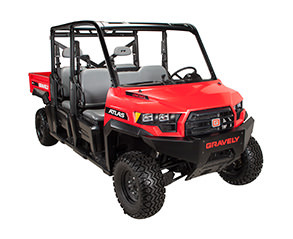 When there is a paycheck at stake, professionals demand a vehicle that doesn’t play around. Which is why we went to work to build a machine that works for you.